This run is remarkably similar in my mind to the North Fork of the Yuba’s Goodyear Bar run. The only difference is that between the few and far between quality whitewater, is class II. There are very few sections that require paddling. I can imagine that at high water the river becomes serious in a hurry. The largest of the rapids happen in the first third or so, then again in the last mile or so. Between isn’t too much besides town scenery. In the book, it says that low bridges get to be a hazard at higher flows, however, I saw no such bridges. There were some logs that could pose problems at higher flows, and from boof.com posts this seems to be a perennial type of thing. This run is worth doing in my mind, however, not worth driving up to the area for. I would only do it again if I were doing Box the same weekend or even day. With that said… here is the run. Double Ledge (IV). About a mile below the put in comes this double drop. The first ledge is on the left half of the river, on the right is a slalom in its place. The second ledge is river wide. I ran down the right on top, then boofed far right at the bottom. The right of center line looked the worst for the bottom. There was also a very clean line on the left of center for the final drop. At high water it may be kind of hard to make the ferry to that side if entering from the right, and the top left may be too sticky to enter down. Holed (IV-). My line made this rapid harder than it needed to be. 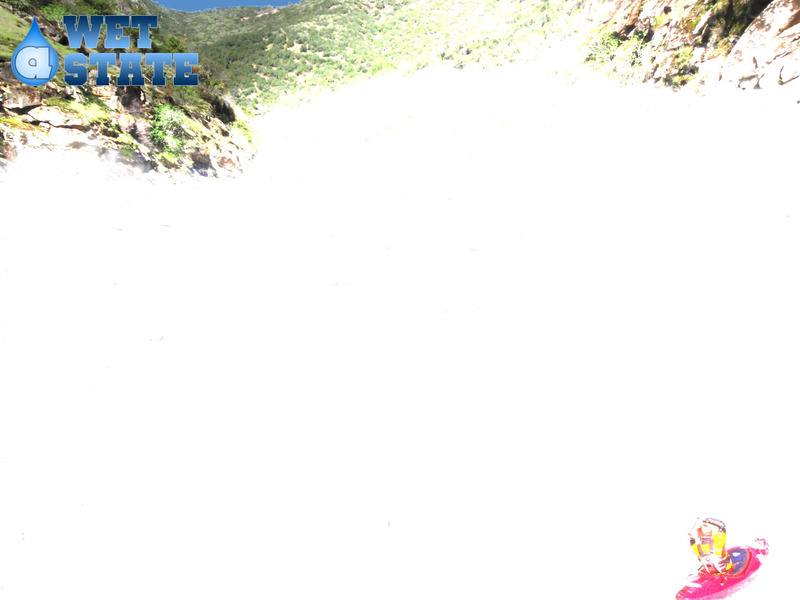 I entered right of center, and quickly noticed that half way down the rapid there lay a very large hole. I opted to boof right onto a hole pile in order to avoid the hole and a pour over. It was very possible to sneak it left of center moving around the hole. There also may be some boof lines off the vertical five foot drops on the far left. There was a class III in here but I can’t remember the details about it, easy to boat scout. Sort of Amphitheater (IV). This rapid comes just above a old railroad bridge and on a right turn as I remember. I hopped out of the boat above on the left, and peered down to see that the center seemed to go at the bottom. So we gave it a go. We entered and went right around the pour over at the top, moving in behind it and straightening out to punch the large holes on the bottom. I can imagine that at some flows the move to the center may be harder to make, as well as the hole at the bottom getting bigger. The far right line ended up going as well. Mear’s Falls (V). At 3,000 cfs at Delta, this rapid was not class IV as stated in many sources. The rapid is also called triple drop as there are three tiers to it. The first tier was washed out in our flow. A simple little hole which we eddied out to the left (there was also a right eddy) The second drop merged with the third. It went like this, run the second left to right in order to get to the right side for the main 10 foot drop. Don’t get too far right in the second part as much of it slams into rocks on the slight bend. However, if you don’t get over the left side landed in a killer hole. As it was, the right side landed in a pretty knarly hole that looked like no fun. We portaged on the left, but with just a little more water, this would have been more difficult. Less than half a mile to take out. Take out: From Redding, take I-5. Take the Sims Road exit and turn left onto it. Follow down to the river, you can take out on the right under the bridge or on the left a little downriver from the bridge at the campground. Put in: Drive north from Redding on I-5 until you reach Castle Crags. Exit and drive down to the water, put in at the bridge.